If it’s not produced in Tasmania, you won’t find it at Street Eats @ Franko! 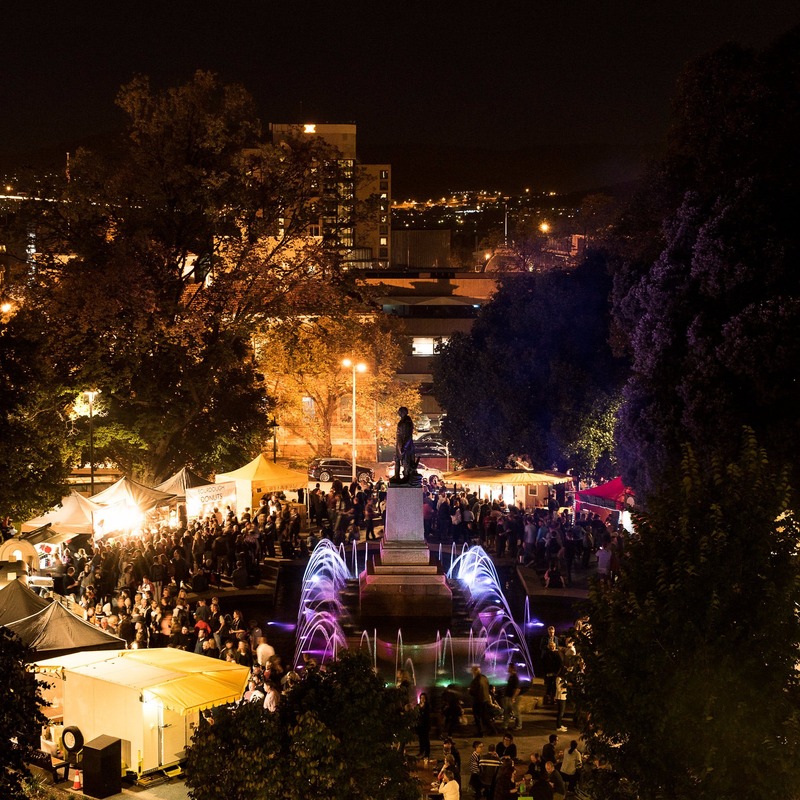 Brought to you by the creators of Hobart’s much-loved Farm Gate Market, this hyperactive street food night market spreads itself across a beautiful inner-city park. Offering funky stalls with street food menus starring our island’s rich and abundant food offerings, dishes can be perfectly paired with a Tasmanian craft beer, cider, local spirit or cold climate wine. Picnic blankets are provided across sprawling lawns, so you can munch and muse to the rhythms of live music with an eclectic mix of musicians that are the cream of the crop.